With the same uncompromising support you've come to love, Brooks have updated the Rebound Racer with new fabric and sleeker silhouette for a fresh look and feel. Molded cups with limited stretch maintain shape and increase support, while powermesh zones on the back keep you cool. 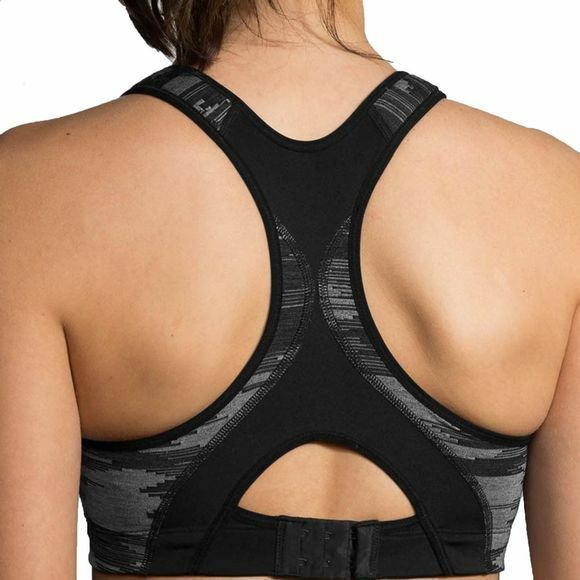 Front-adjustable straps on this sports bra give you a custom fit on the move, while a soft-padded keyhole back closure provides proper fit and support.